A meeting against the champions elect is always going to be a difficult affair at the best of times but the Warriors had the added burden of only being able to field a patched up side for the match. Injuries and suspensions meant that several key positions saw changes in personnel from the previous match at Forfar, including keeper Ally Brown being replaced by Chris McCluskey, a new centre half pairing of Scott Gibb, who was playing for the first time in weeks following injury and therefore not match sharp, and Iain Thomson who had dropped back from a midfield role. Ross Clark came back into the starting eleven after a prolonged absence and he was part of a midfield that included Eric Paton and Grant Anderson who were carrying injuries to a greater or lesser extent whilst up front Paul Quinn still deputised for the injured Scott Dalziel with Alex Williams also missing through injury. Stenhousemuir for all their problems worked hard to keep Livingston at bay though the West Lothian side appeared to be fairly lacklustre in the opening exchanges where there was little between the sides. There were few chances though McCluskey was called into action to make a routine save from Raffaele De Vita in the 21st minute after the striker had made an opening for himself. De Vita created another chance in the 27th minute when despite being fouled by Scott Gibb managed to pick out Iain Russell whose initial effort was blocked before he went down in the box looking for a penalty as the ball broke in his direction. Referee John Beaton waived claims away though he booked Gibb for his misdemeanour and in this case the referee should be applauded for good use of the advantage rule. 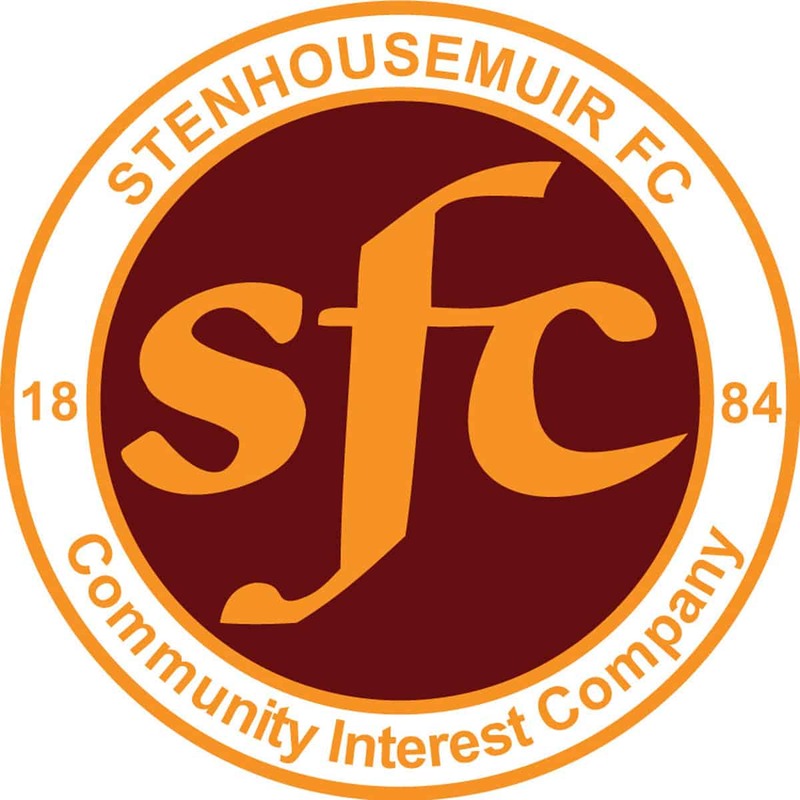 Stenhousemuir for all their efforts struggled to make an impact in the final third of the field and symptomatic of this was when Anderson whipped in a cross to Quinn in the danger area Paul Watson was able to intercept and clear the danger. Livingston took the lead in the 35th minute when De Vita’s cross come shot picked out Kyle Jacobs and he netted from close range. Jacobs looked to be in a suspiciously offside position when the ball was played across goal but the goal was allowed to stand much to the chagrin of the Stenhousemuir management and players. The Warriors responded with an inswinging cross that caused Tony Bullock the Livi keeper all sorts of problems but although he struggled to beat it out there was no one on hand to take advantage of the situation. Three minutes into the second half McCluskey was booked for a foul of De Vita and although a defender was getting back to cover he was probably relieved not to have been sent off for the foul. Brian Gilmour came close for Stenhousemuir with a long range effort in the 57th minute but seconds later the ball was transferred up the other end of the field and Liam Fox converted putting Livingston two up. This effectively killed the game off and although Sean Dickson should have done better with a chance from a Stevie Murray cross Livingston were now in charge of the game and they marked their superiority in the final seconds when substitutes Robbie Winters and David Sinclair combined for the latter to head home the third goal of the game. They almost got a fourth from the other sub Kenny Deuchar but he was denied by a fine stop from McCluskey.